Elizabeth's adolescence was no easier than her childhood. While her father, King Henry VIII, lived, she was safe from political opportunists, but he died in the January of 1547, when Elizabeth was thirteen years old. 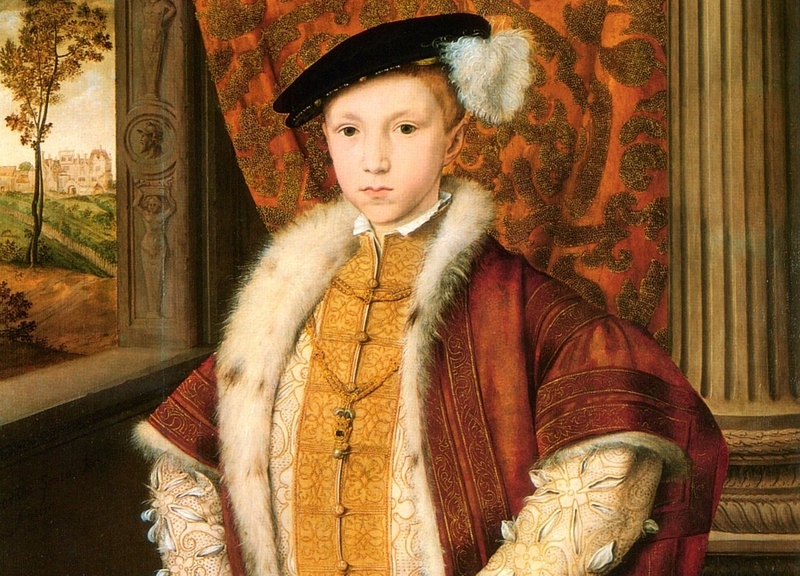 Her younger brother, Edward, became King Edward VI, and Elizabeth was now vulnerable to those who saw the royal children as a political pawn. Despite being officially illegitimate, Henry had reinstated his daughters in the line of succession. Mary was to follow Edward, and Elizabeth was to follow Mary. This meant that Elizabeth was now second in line to the throne. King Edward was too young to rule himself, as he was only nine years old, so his uncle, Edward Seymour, became Lord Protector of England. His younger brother, Thomas Seymour, grew jealous of his position and attempted to overthrow him. His scheme, which involved an attempted kidnapping of the Boy King, cost him his life. His ambition also put Elizabeth's in danger. Seymour had made no secret of his desire to marry Elizabeth (in Tudor times a girl was considered of marriageable age at twelve) and this implicated her in his plot. It was treason for an heir to the throne to marry without the consent of the King and his Council, and Elizabeth, now fifteen years of age, had to persuade her interrogators that she knew nothing of the plot and had not consented to marry the King's uncle. Elizabeth succeeded in defending her innocence, but rumours of an illicit affair with Seymour, all the more scandalous because he had been married to her last step-mother, Katherine Parr (before she died in childbirth in 1548), plagued her long afterwards. A few years later, Elizabeth was again accused of treason. This time after the Wyatt rebellion of 1554. 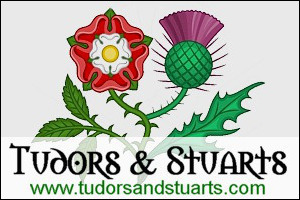 Edward had died in the summer of 1553 from prolonged ill health, and Elizabeth's half-sister, Mary, was now Queen Mary I of England after a brief fight for the throne against the scheme of John Dudley, Duke of Northumberland, to make his daughter in law, Jane Grey, queen. 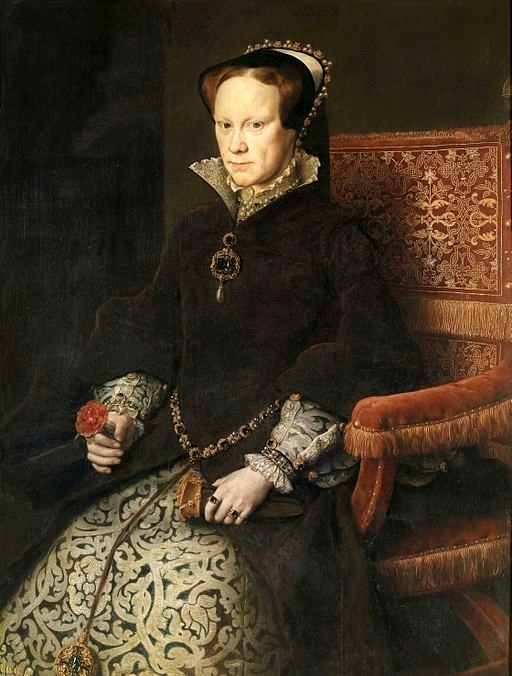 Mary was not very well-liked monarch, and was suspicious of her popular Protestant half-sister. It was thus not difficult for Elizabeth's enemies to persuade the Queen that maybe she was conspiring with Thomas Wyatt and his associates to seize the throne. 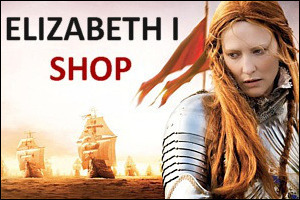 Whether or not the rebellion was to make Elizabeth queen is uncertain, and it is also unknown whether Elizabeth had any knowledge of the conspiracy. Even if she did know of the plans, there is no evidence that she approved or in any way gave her consent to the rebels. 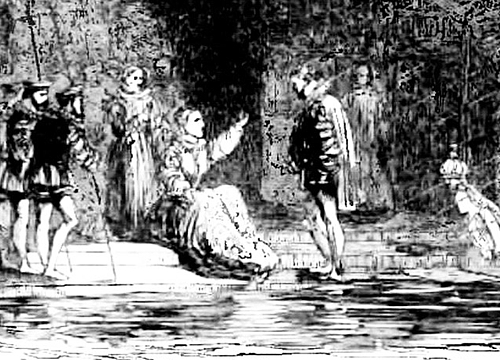 Elizabeth insisted that she was innocent, and did her best to convince her accusers, but her efforts were in vain as she was arrested and sent to the Tower of London. Many of those surrounding the Queen would have liked Elizabeth to have been executed, but there was no evidence against her and she was popular with the people. Elizabeth was kept a captive at the Tower for two months and then removed to Woodstock Manor in Oxfordshire, where she was kept a prisoner for a year. The house itself was uninhabitable so she had to be lodged in the gatehouse with her servants. It was only at the behest of the Queen's husband, Philip of Spain, that she was allowed to return to her childhood home of Hatfield in Hertfordshire. Philip was aware of the Queen's poor health and wanted to gain the friendship of Elizabeth to ensure peaceable relations between England and Spain should his wife die and Elizabeth succeed to the throne.